The writings of Dr Bart Ehrman have undoubtedly had a very negative effect on the faith of many. It is widely reported that many young Christians, exposed to his teachings, have abandoned their faith by the time that they graduate from Colleges or University. Christian scholars have responded with numerous books offering both answers to Ehrman’s objections and new research which serves to demonstrate the credibility of the Gospel accounts of Jesus. I have previously reviewed another book in this genre, The Heresy of Orthodoxy, and was delighted receive a pre-publication of Peter J. Williams book, Can We Trust the Gospels? from the publisher. This is a very short book (153 pages including indexes), but one that covers a tremendous amount of ground, at the same time condensing a huge amount of scholarly research. This book is not just a good summary of a complex subject, but adds new insights along the way, based on first-hand research, as I will mention again later. What do Non-Christian Sources Say? What Are the Four Gospels? Did the Gospel Authors Know Their Stuff? Do We Have Jesus’s Actual Words? Who Would Make All This Up? 1. 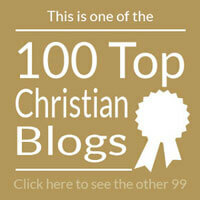 What do Non-Christian Sources Say? Chapter 1 discusses the importance of the writings of Tacitus (pp.18-24), Pliny the Younger (pp.24-31) and Josephus (pp.31-35), and demonstrates how quickly the Gospel spread across the Empire. It also notes how key teachings of the early Christians, such as belief in the Deity of Christ, were recognised at an early date by non-Christian observers (pp.28-31). 2. What Are the Four Gospels? Introduces the Gospels, their dating, interdependence, and traditionally ascribed authorship. Arguments supporting the traditional authorship is presented in later chapters. I particularly liked the argument for Matthew the Tax Collector based on that Gospel’s unique interest in financial matters (pp.82-83). Here, as throughout the book, the judicious use of footnotes allows interested readers to find further information. In this chapter I found the reference to Brant Pitre’s book, The Case for Jesus (p.43, n.9) particularly helpful, having repeatedly been assured by people, who ought to have known better, that the Gospels were all originally anonymous. 3. Did the Gospel Authors Know Their Stuff? The next section is based on Richard Bauckham’s research on personal names [pp.64-78, esp. p.64, n.28), showing how the Gospels’ use of disambiguation correlates very closely with the relative popularity of names in 1st Century Palestine, but not outside of that time or location. Combined with further arguments based on the writer’s knowledge of Jewish customs (pp.78-81), botany (pp.81-82), finance (pp.82-83 – already referred to above) and languages they make a strong cumulative case for authenticity. Williams then turns to Lydia McGrew’s development of J.J. Blunt’s Undesigned Coincidences, giving several examples of how the Gospels include incidental details that someone without eyewitness information could not possible have known about. It discusses Mary and Martha’s personalities (pp.88-91), the feeding of the 5,000 (pp.91-94) noting the significance of the grass. Having worked in Nepal, where grass withers very quickly after the rains stops, I appreciated the argument here. The final coincidence covers the account in the Gospels and Josephus concerning Herod Antipas (p.94-96). 5. Do We Have Jesus’s Actual Words? 6. Has the Text Changed? In this chapter, Williams draws, not for the first time (p.81, p.52), on his own research and work in textual criticism to argue for the veracity of the Greek text of the Gospels. Again, the rapid spread of the church throughout the gospels is said to make it impossible for major doctrine changing textual variants to be deliberately introduced (pp.120-122). This chapter is very brief and focuses on formal contradictions in the text. These are deliberate and “…show that the author is more interested in encouraging people to read deeply than in satisfying those who would find fault.” (p.127). 8. Who Would Make All This Up? The final chapter concludes that the simplest and best solution that explains the Gospels as we now have them is that they are what they claim to be. I think that anyone who has been challenged by the work of critics such as Bart Ehrman would find this book of great help. It would also be good to place it in the hands of non-Christians who are considering the claims of Jesus and have doubts about the Gospels. Personally, I found myself encouraged to dive into the suggested further reading (p.13, n.1), but most of all to read the Gospels again with a fresh appreciation of their depth, accuracy and sophistication. Peter J. Williams, Can We Trust the Gospels? Wheaton, IL: Crossway, 2018. Pbk. ISBN-13: 978-1-4335-5295-3. pp.153. Dr Dale Brueggemann contacted me recently to request that I make available key Biblical linguistics resources on my website in PDF. A great number of Greek & Hebrew lexicons and grammars are now out of copyright which still have value to Bible students and scholars. Dr David Instone-Brewer from Tyndale House has agreed to make available the language works that Tyndale House have digitised to form the start of what I am calling the Biblical Linguistics Digitisation Project. As my own knowledge of biblical language reference works is very limited I am very grateful to Dale and David for their expertise and advice when selecting material. Here are the first volumes to be made available through this project. Note that due to the number of pages in each volume the file sizes are very large. I am trying to find other material to scan and add to the project, so I will keep you all posted when new material is added. In the meantime, visit the Languages section of the Biblical Studies website for more resources. – D.J. Wiseman, 15th July 2005. You can download the each article by clicking on the links below. Some Historical Problems in the Book of Daniel – D.J. Wiseman – pp. 9-18. The Musical Instruments in Nebuchadnezzar’s Orchestra – T.C. Mitchell and R. Joyce – pp. 19-27. The Hebrew of Daniel – W.J. Martin – pp. 28-30. The Aramaic of Daniel – K.A. Kitchen – 31-79. 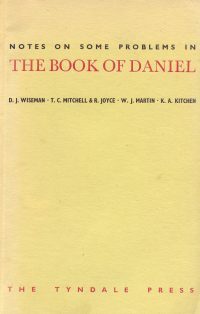 This monograph brings together, in expanded form, some of the papers first read at the Tyndale Fellowship Old Testament Study Group meeting at Tyndale House, Cambridge, in July, 1964 to consider some of the many problems to be found in the book of Daniel. While the views here expressed are those of the individual authors, it is considered that the data collected, the subjects covered, and the new theories proposed are sufficiently important to warrant their presentation in a more permanent form. They present a challenge to commonly held views and it is hoped that they will contribute to the further understanding of some of the difficulties studied….